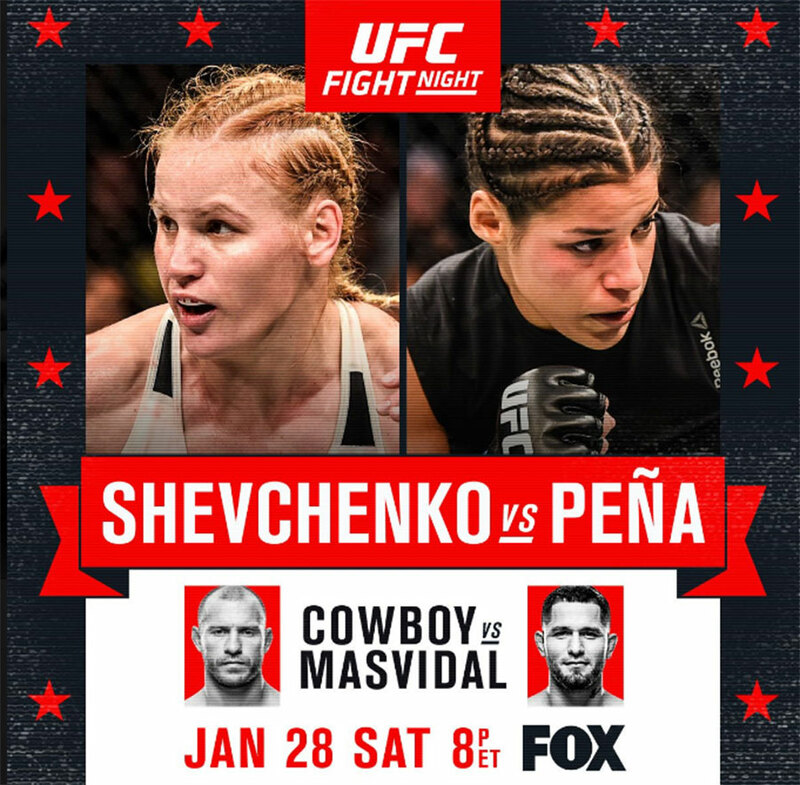 “UFC on FOX 23: Shevchenko vs. Pena” goes down Saturday night inside Pepsi Center in Denver, Colorado. UFC Fight Pass streams the first two preliminary bouts live starting at 4PM ET/1PM PT. Fox Sports 1 broadcasts the remaining four prelims immediately after at 5PM ET/2PM PT. FOX airs the main card beginning at 8PM ET/5PM PT. A critical women’s bantamweight brawl between Valentina Shevchenko and Julianna Pena headlines the show. Welterweights Donald Cerrone and Jorge Masvidal serve as the co-main event.